I'm back home after a wonderful Christmas in San Diego. Really, didn't miss the white Christmas a bit! A few of you asked about my red and green Christmas quilt. 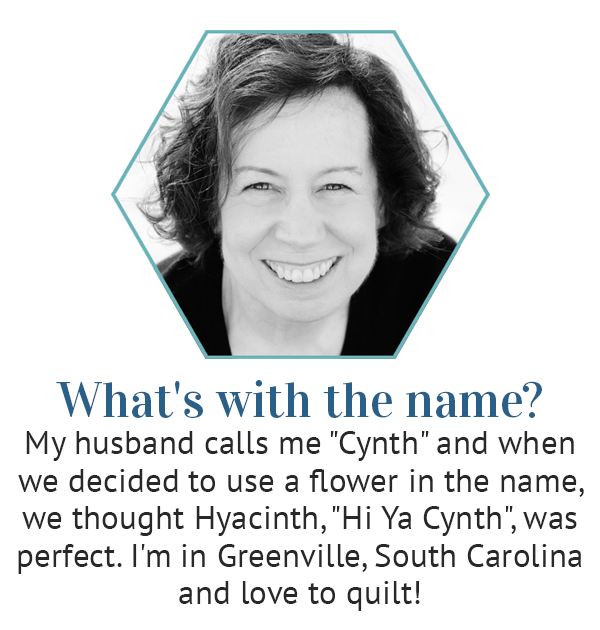 It's one of the five quilts in my book Flowers All Around. 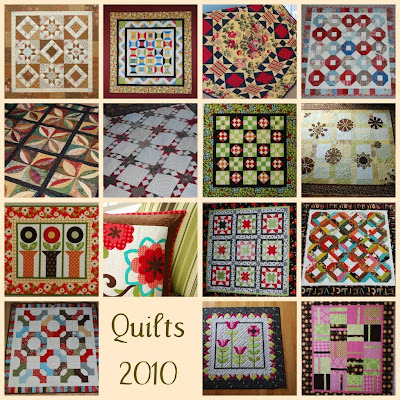 Last year many quilt bloggers wrapped up the year by posting all the quilt projects they had done through the year. I was bummed. I hadn't kept track and had no idea how much or little I had really created. This year is different! Here are my projects from 2010. Many are small and several were UFO's finally completed this year. But 31 in all. I'm pretty happy! 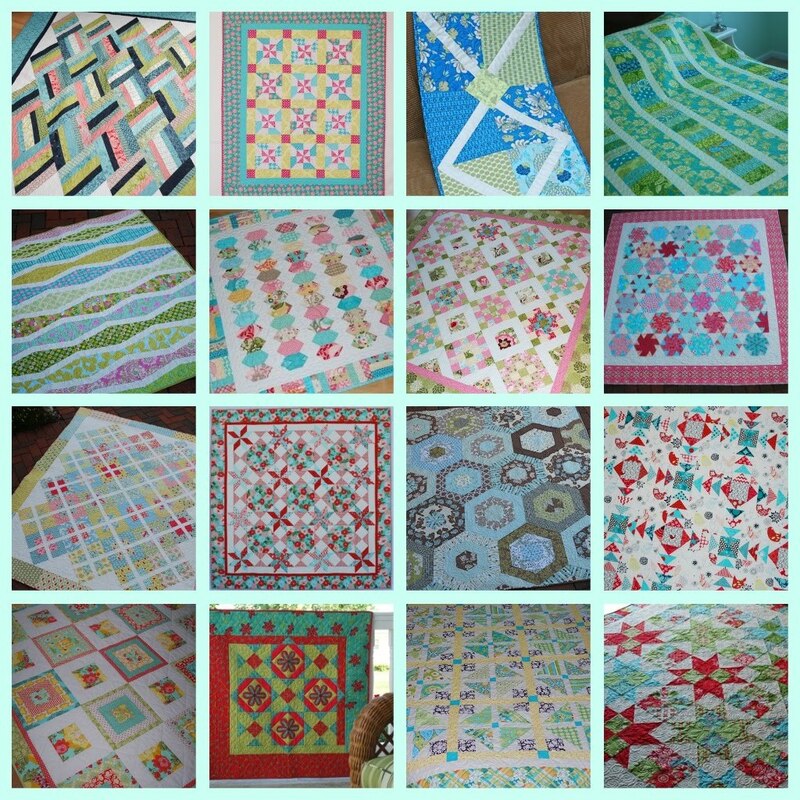 What wonderful collages...love every quilt/project! Happy New Year! Congratulations on a very productive year! 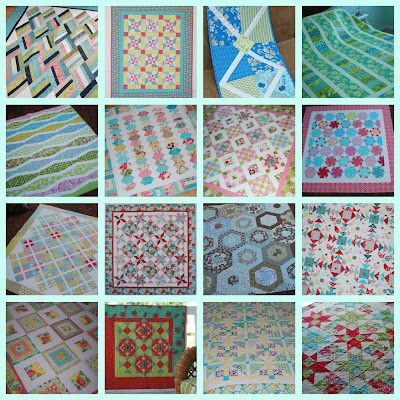 I couldn't pick a favorite, just kidding, love that floral piece right above your Quilts 2010 block, I"ll need to go back through your blog to read up on that one.....I just love it! All of your projects are amazing and inspirational!